The Floral Inspirations Tidbit Tray will delight everyone who loves a pretty vintage floral design. 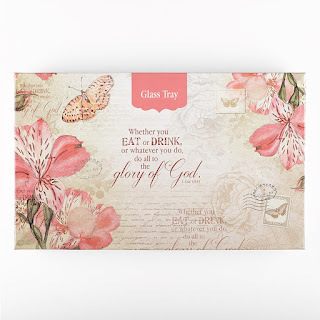 This lovely glass serving tray is perfect for appetisers, sweet treats or hors d'oeuvres. You might just like it as a vanity tray! Beautifully gift boxed. Reverse-printed glass. Hand washing recommended.